Centennial, CO. Trypp the Traveling Elephant today joins professional travel planner, Judy Duran, to create unforgettable journeys. Duran has been searching for another travel partner and assistant since Flat Stanley returned to his second grade colorist, Sebastion, to attend Catholic School near St. Louis. After searching for more than a year, Trypp was selected to fill flat-footed Stanley’s shoes. “My family has a long history of travel,” says Trypp. “My Pliocene ancestors, the Mastodons, started traveling in 35,502,376 BD. My Pleistocene Mammoth forefathers journeyed widely in their era and the family travel tradition remains active today.” Trypp notes the elephant participation in the annual Great Migration on Africa’s Serengeti Plain as just one example of the elephant’s remarkable travel stamina. Duran admits that she dismissed Hugh Jackman’s application as “A figment of my imagination.” “Trypp just rose above the pack,” says Duran. 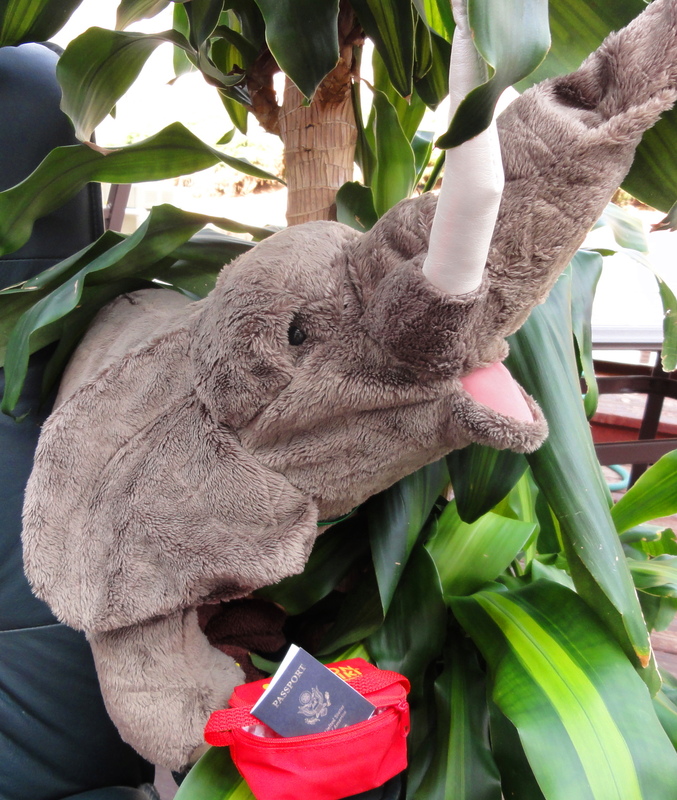 “I have quite an extensive elephant collection and she makes an excellent addition. And she’ll work for peanuts.” “I feel right at home among Judy’s herd,” adds Trypp.